The town of Székelyudvarhely, in Romanian Odorheiu Secuiesc is located in Székely Land, Transylvania, Romania and it is the second most populous city in the county of Hargita. The name of the city is often shortened as ’Udvarhely’ which literally means ’courtyard place’. The city of Udvarhely has a past that is centuries-old and is very rich in Hungarian historical and cultural heritage which is reflected mostly in the architectural monuments. There are several significant architectural sights, museums and others. Udvarhely is not a very large city but it has a lot to offer. Read further about the 200-300 year old temples and churches which narrate the story of the Székely people and Udvarhely. This religious building is included in official list of monuments of Hargita County. 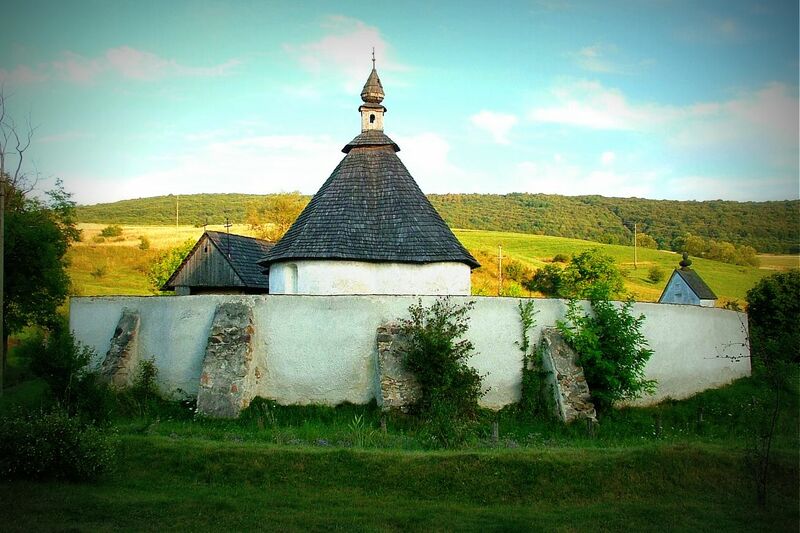 The Heart of Jesus Chapel, or in other name, the Holy Heart Chapel is located at the southern entrance of town, near Szálvátor Hill, by the healing springs. The chapel was built during the 13th century hence it is the oldest architectural monument of the city. The floor is made of bricks and the 4 meter high ceiling is decorated with painted coffers. The building has a shingle-roof on top of which a stilted calotte is placed. The building is surrounded by a stone enclosure. Above the entrance a date inscription can be seen: 1771. 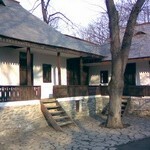 The parish house was presumably built in the first half of the 17th century. Its construction is connected to the Jesuit society. The parish house is the first building of the gymnasium. In the second half of the 18th century a Calvinist church was built on the main square of the city. The building has divided the former market place into two parts which now is called Freedom Square and the other Márton Áron Square. 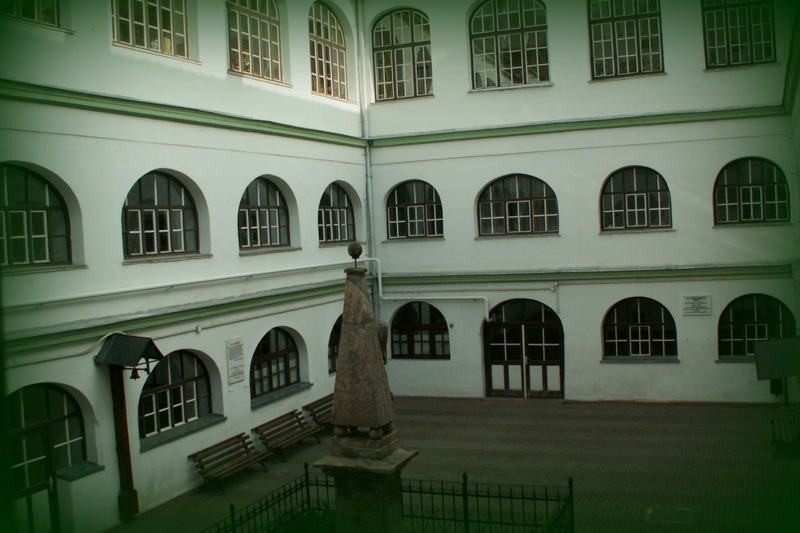 The building of the church was initiated by the president and professor of the Calvinist College, Baczkamadarasi Kis Gergely, whose monogram (KG) is displayed on the northern side of the tile roof. Constructions were completed in 1781. This 18th century ecclesiological masterpiece has a 40 m tall tower which is the most compelling monument of Székelyudvarhely which fits perfectly into the picturesque townscape. In the building there are to be found features of baroque, classicist and romantic style. The single towered parish house was built between the years 1787-93. 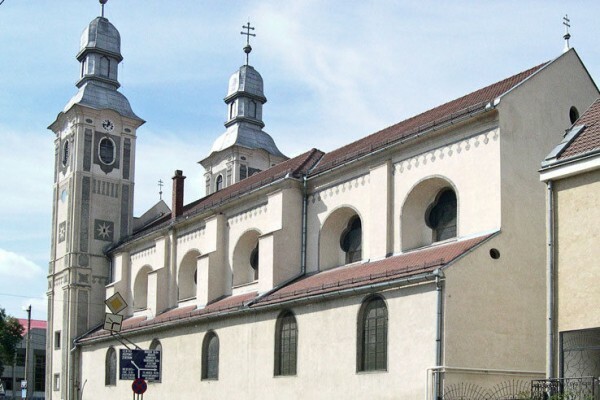 The Roman-Catholic church is 38 m long and 18 wide. 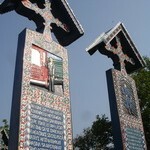 This monument is also enlisted on the official list of monuments of the county since the year of 1992. The townspeople call the building the Friar’s church and convent. 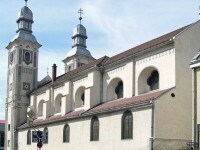 The church and monastery was constructed during the 18th century and alloys the characteristics of baroque and classicist style. The church is about 36m long, 17 m wide and its interior is 14m high. In the eastern tower two bells can be found.